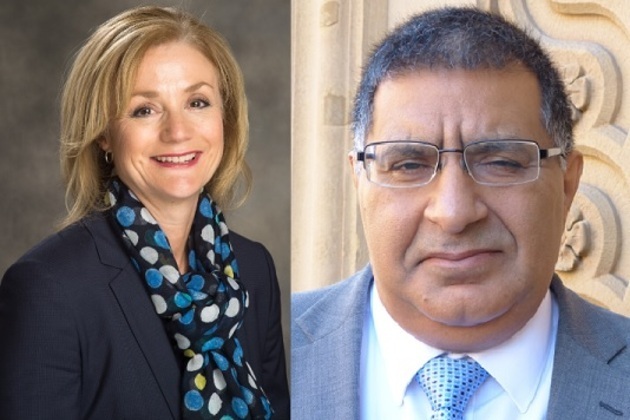 Not-for-profit organisation Nuffield Health continues to grow its Manchester team and has appointed Joanne Lofthouse as Clinical Commissioning Director and Nassar Hussain as Imaging Services Manager to support the delivery of its integrated health services across the city. Joanne, who joins from Great Ormond Street Hospital, will assist with the delivery of Nuffield Health’s state-of-the-art hospital and wellbeing centre off Hathersage Road, which is due for completion in 2017. One of Joanne's key roles will be to establish Nuffield Health's new diagnostic suite, which is currently under construction at Manchester’s Citylabs and is due to open later this year. The diagnostic suite model has been developed by Nuffield Health following consultation with Central Manchester Hospitals NHS Foundation Trust to identify which additional diagnostic facilities would best support the Manchester community, improve health outcomes and cut waiting times. Nassar will be responsible for the delivery of the diagnostic suite’s imaging services and joins the team from BMI Healthcare. The diagnostic suite, which is being designed by Pozzoni Architecture, will include world-class MRI, X-ray, mammography, CT, cardiac scans and ultrasound services, as well as a range of wellbeing services includinghealth assessments, physiotherapy services and private GP appointments. With over 35 years’ experience in the industry, Joanne will be responsible for commissioning both the services and the consultants who will work with Nuffield to deliver improved healthcare across the city. Joanne will also be supporting the planning application for the hospital and wellbeing centre, which is due to be submitted in late August. Once the Hospital is operational, Joanne will assume the role of Matron. Nassar added: “The opportunity to work for Nuffield Health and to help fulfil their plans for the delivery of integrated health services across the city was too great to turn down! These key additions to the Nuffield Health Manchester team follow the announcement of Barbara Baker’s appointment to the role of Manchester Market Director last November. Barbara is responsible for driving the organisation’s complete health and wellbeing strategy in Manchester, including plans for their flagship, state-of-the-art hospital and wellbeing centre.